Key members of SimCity developer Maxis revealed today that they've left the company. Creative director Ocean Quigley, lead engineer Andrew Willmott and lead gameplay engineer Dan Moskowitz have decided to create their own studio called Jellygrade. The most recent game from Maxis, the SimCity reboot, was marred by controversy. To quickly recap: the game requires a persistent Internet connection to EA's servers in order to play. When the game launched, these servers were overcrowded and players were subsequently unable to play even in single-player mode. Maxis insisted that the Internet requirement was a necessary facet of the game but they were then proven wrong by hackers who created an offline mode. Suffice to say, things got ugly. I imagine someone will spin these employees' departures into another chapter of the SimCity controversy. However, the ugliness surrounding the game's launch apparently didn't factor into their departure. Quigley said over Twitter that after 17 years at Maxis, it was simply 'time for something new." He added that he has still has a lot of affection for his former company. "It was a good studio to work for! I got a tremendous education there (particularly from Will)," Quigley said, referring to Maxis founder Will Wright. Wright, the creator of the SimCity series, left Maxis in 2009. Jellygrade's first project is, unsurprisingly, a simulation game. The game has a working title of Tethys and will use a brand-new engine developed by Willmott. 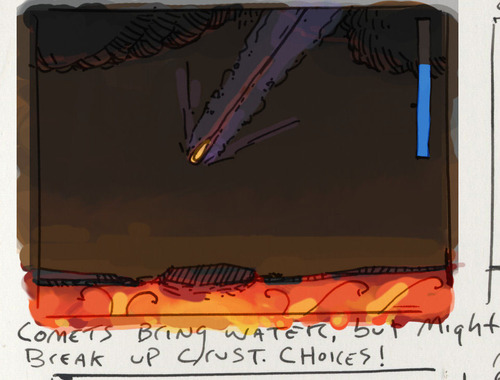 Instead of focusing on city-building, Tethys will deal with the creation of life. 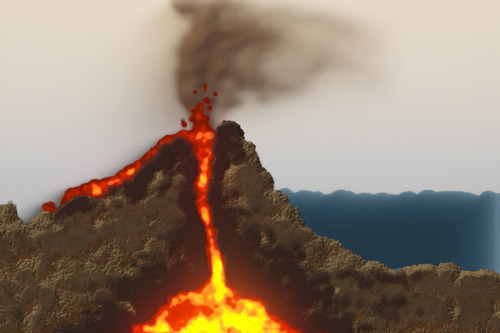 "We're making a simulation about the dawn of life on earth; about lava, water, rock and the emergence of the first primordial creatures," said Quigley. He admitted in subsequent tweets that it's "similar in subject matter" to SimLife but with very different simulation. When other Twitter users compared the concept to SNES game E.V.O. : Search for Eden, he said that Tethys is "more scientifically plausible." 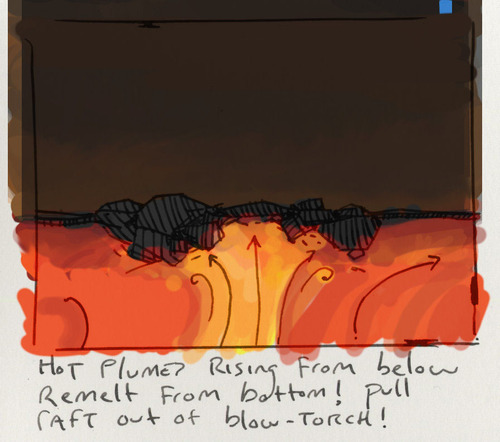 Jellygrade's Tumblr page shows the first concept art from Tethys. Each image shows a vertical slice of Earth, with lava bubbling below the crust. In one image, a comet is falling to the surface. The caption notes that comets bring water but can potentially break up the crust. 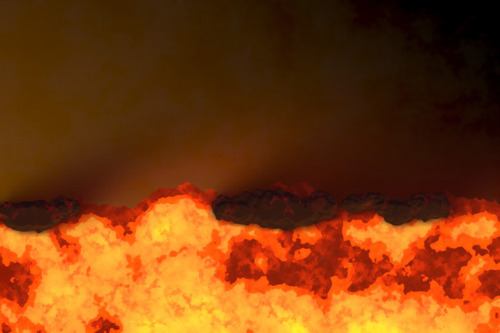 The slideshow concludes with a plume rising from below the earth and creating a volcano. Quigley says that the game is being developed for iPad. However, they hope to port the game to other platforms in the future.